What does the term "ghosting" mean in poker? 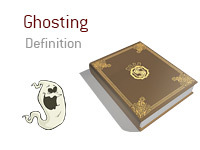 What is the definition of the term "ghosting"? Let's say that you are playing in a large online multi-table tournament. Let's say that you are down to the last few tables, and are starting to get quite nervous. 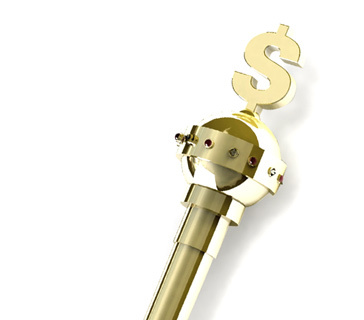 First place is worth over $150,000, and that would be life-changing money for you. One of your friends is a professional poker player. You call him up on the phone and ask for his help during certain hands. He agrees and starts watching your table. Anytime you get involved in a hand from that point on, your friend offers his advice as to what you should do. This is "ghosting". "Ghosting" is where another player (or players) offers their opinion to you while you are playing a hand. They may be offering their opinion over the phone, over the computer or they may even be sitting right beside you. "Ghosting" is cheating, as there are multiple players colluding in a hand. The problem? Ghosting is nearly impossible to detect. In the example listed above, what evidence is there of cheating?